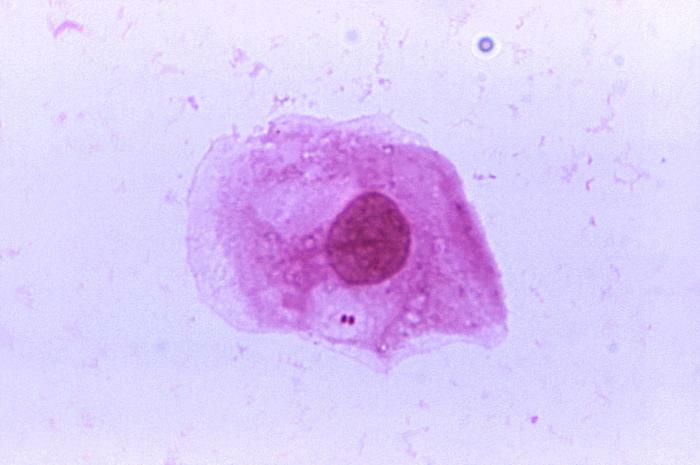 A photo of the bacterium that causes meningococcal disease. Image courtesy CDC/ James Volk. A person who spent time at the USA Hostel in downtown San Diego has been diagnosed with meningococcal disease, the San Diego County Health and Human Services Agency reported Tuesday. The 24-year-old previously healthy individual, whose name was withheld, was admitted to a local hospital Saturday and is recovering, according to county health officials. Health and Human Services staff have identified, informed and provided preventive treatment to more than two dozen close contacts who may have been exposed to the bacteria that causes to the disease. The hospitalized person could have exposed others within close contact any time between July 4 and July 14 at the hostel, located at 726 Fifth Ave. Symptoms of meningococcal disease can include fever, intense headache, lethargy, stiff neck and a rash. The disease, which carries a high mortality rate if left untreated, can be spread by sharing drinking glasses, silverware, cigarettes, water bottles, vaping equipment and any smoking material, or through close contact such as kissing or living in tight quarters. The time between exposure to the disease and the onset of symptoms can be between two to 10 days. Individuals who have had close contact with the infected person should receive antibiotics to prevent possible infection, according to county officials. There have been five cases of meningococcal disease reported in San Diego County this year. On average, six cases have been reported annually over the past five years.